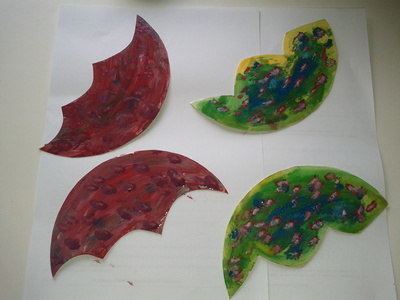 This is a great spring craft for the kids. 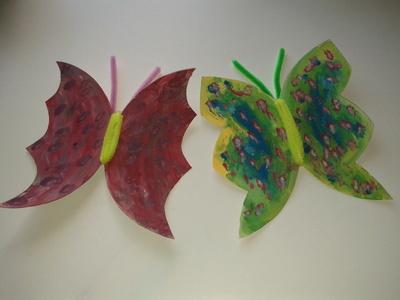 Make some pretty butterflies using some cardboard, paint, pipe cleaner and imagination to bring some colours to dull walls or doors. 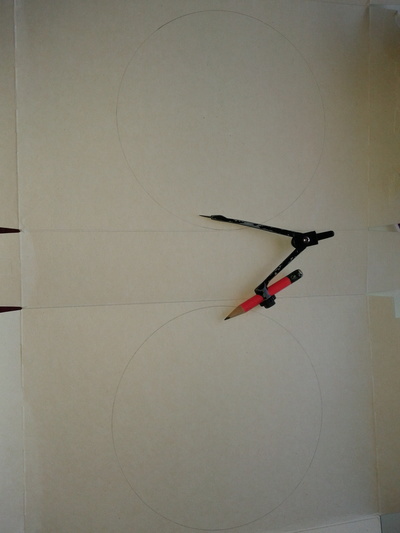 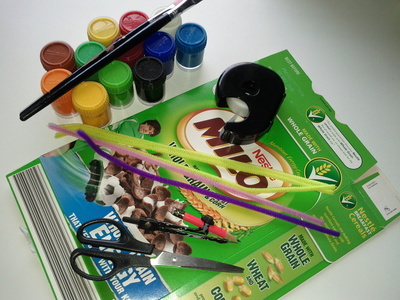 Using a compass, make two big circles (around 20cm diameter), and cut around the edges. 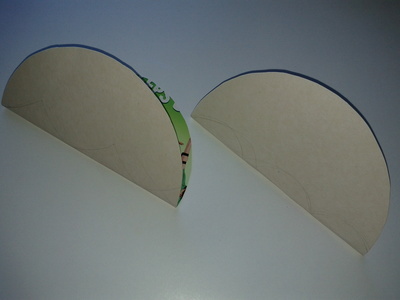 Fold circles in half and make an outer line near the crease. 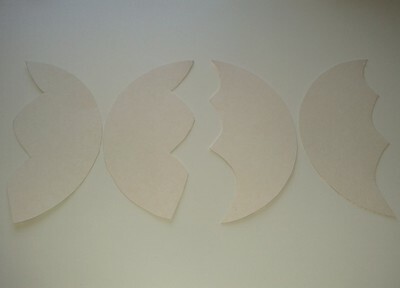 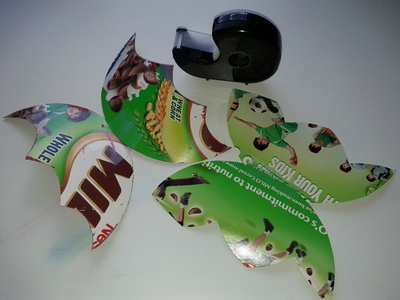 Cut along the lines and you will end up with four flaps. 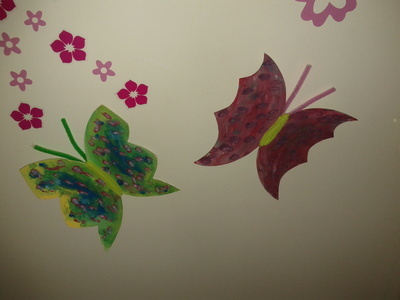 Paint or decorate as desired and let dry. 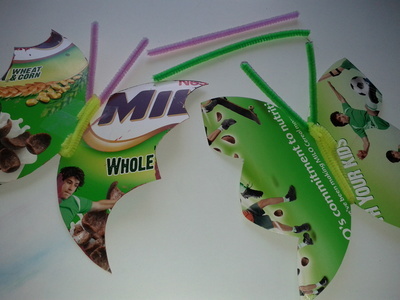 To make a butterfly, tape two flaps and circle the middle with a pipe cleaner. 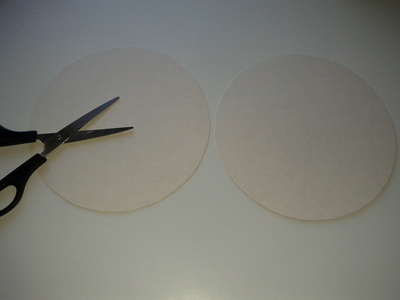 Cut another piper cleaner in half and gently insert in between to make the antennae. 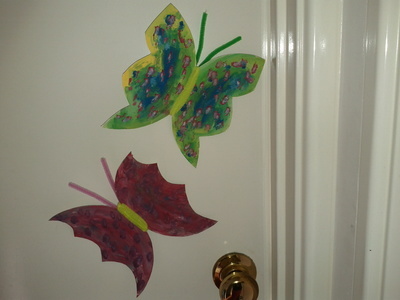 Place on walls or doors.